Use loyalty incentives to encourage your customers to provide information about themselves and their shopping habits. Ask a set of questions that you would like customers to answer and give points in return for the answers, assigning a point value for each question and specifying the format in which you’d like your customers to respond. Your questions will be presented on cards in the Loyalty Hub and you can use the data you collect in an export or sync them to your newsletter provider. You can find the configuration page of Customer profiling module by clicking on the ‘Modules’ link in the top menu bar, then selecting ‘Gamification modules’ from the list on the left-hand side. First you’ll find the list of your customer profiling questions that you have already set up. “Select” – The customer will see a dropdown list of answers that you’ve predefined. The customer can only select one option from the list. “Multiselect” – The customer will see multiple answers alongside checkboxes. The customer can select multiple answers from the set you provide. 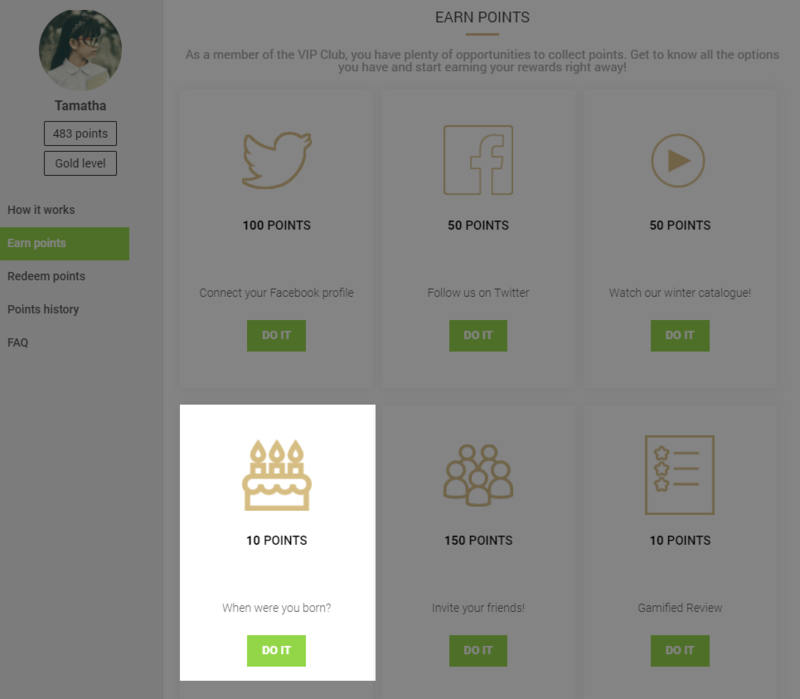 As soon as you save a question, it will be available to your customers as a card in the Loyalty Hub. You can edit and delete questions at any time on the module configuration page. Important!Each question can be answered by the customer only once. Please note that the field cannot be edited. Go to the Customer profiling module configuration page. Get a detailed view of customer data by visiting customer profiles. 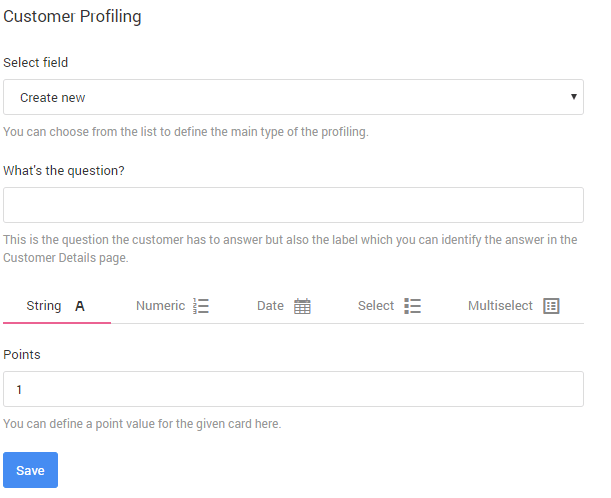 There you’ll see which questions your customers have already answered and their profile completion as a percentage of answers given from the total number of questions asked.